Last month the PPPLab facilitated a workshop for multi-stakeholder platform Bonsucro, the global platform for the sugarcane sector. Over the past 18 months Bonsucro has been moving from a standard setting organisation to a change platform driving wider change in the sugarcane sector. For both PPPLab and Bonsucro the question was whether the PPPCanvas was a suitable tool to sharpen the platform’s value proposition for specific member groups. Conclusion: most certainly! Bonsucro is the sugar cane platform that links the sugarcane sector, driving efforts towards a sector with thriving, sustainable producer communities and resilient, assured supply chains. Currently it is clarifying its precise value propositions to its three membership segments, on this day we focused on Buyers. A number of challenges came together in this workshop. For one thing, sugarcane is one of the largest agricultural commodities in the world and thus very complex. Secondly, Bonsucro must respond to the needs of over 400 members across the world, including industrial buyers, farmer groups, traders, service providers, etc. 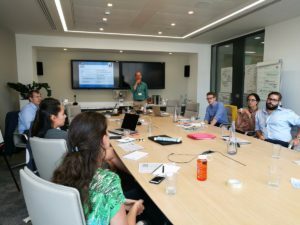 A small global team in London must listen to needs and shape goals, and provide tools, connections and support across the industry to help develop professionalism and resilience throughout the sector. Much of the workshop was spent developing a value proposition towards Bonsucro’s Buyer member segment. A value proposition helps identify and assess the benefits that an organisation can offer to its customers and beneficiaries. Getting to grips with this customer group led to the creation of Rupert III, Ronald and Charlotte: three invented persona’s who made the group come to life. Bonsucro valued the way the process ‘forced’ ever more specificity in their language, and that the process helped make their target audience come to life. The day spent actually sitting down and working this through to the point of a 1-line value propositions was well spent. The PPPCanvas is a tool developed by PPPLab to analyse the business model of PPPs, including what value is being delivered and how partners aim to deliver this value. 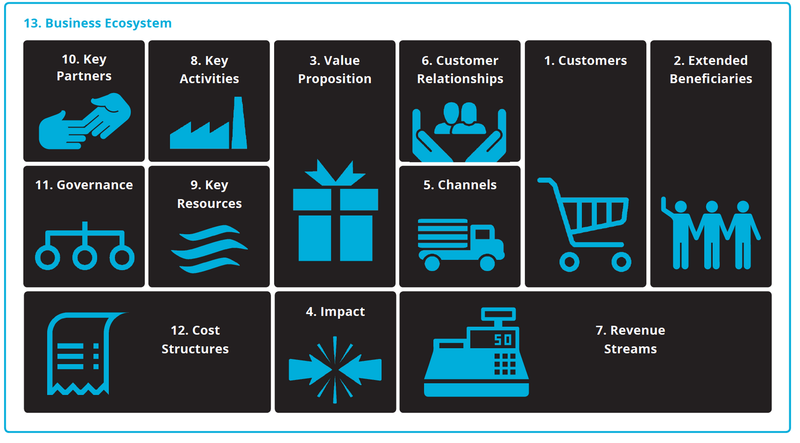 Based on the Business Model Canvas, the PPPCanvas helps to visualize, design and pivot a value proposition and business model. It then adds four extra fields of interest to the original business model canvas, namely Impact, Extended Beneficiaries, Partnership Governance and Business Ecosystem. The PPPCanvas was useful to make sure the value proposition was designed in harmony with Bonsucro’s clear wider public value goal: thriving sugarcane communities. During the process it was clear that participants could clearly argue the wider social value. The struggle was to translate this into concrete products and services with a value for specific customers. How to make it clear what is being done to support Buyer’s business needs, which is also clearly contributing to sustainable sugarcane production? Once these had been formulated, revisiting the wider goals was a check for possible misalignment. The PPPCanvas provides helpful support in aligning an organisation’s business model and impact goals; hence the “Impact” and “Extended Beneficiaries” fields added to the PPPCanvas as compared to the standard business model canvas. What did the PPPLab learn? This was an extreme case of a PPP – a private-public platform – with far-reaching goals. It made it clear that with a focused, facilitated session it is possible to build the core of a partnership model canvas for even such a complex set of priorities and activities. Some kind of facilitation is needed, this could be readily done by anyone familiar with the PPPCanvas. This kind of individual collaboration is part of testing our tools, and not normally part of the PPPLab’s mandate.